Our goal is to provide you and your family with more assured kitchen supplies, The artale Cake Dessert Cream Decorator Gun/kit Lightweight and delicate flower maker makes your life more fun. *100% new and high quality. * Natural and harmless, tasteless and non corrosive. 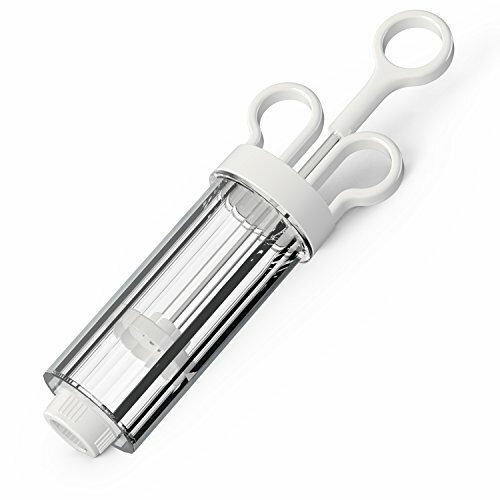 * As Cake Dessert Cream Decorator Gun, easy operation by just pressing it, then it comes out. *Comfortable, lightweight and easy to use, easy to clean.Reusable and non-stick. * Meets all industry standards. 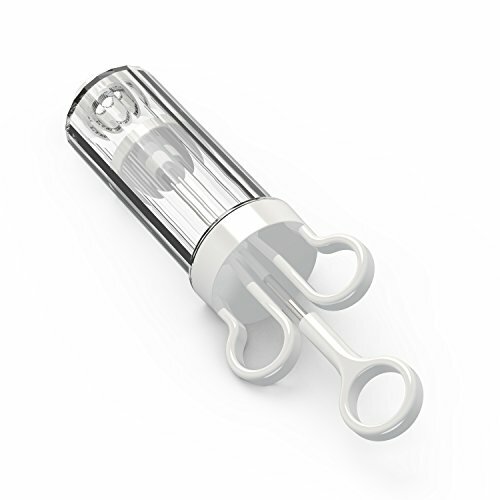 Made with durable and premium materials so they last for as long as possible. *Perfect tools to decorate all your cakes, cream, dessert, cookies, pastry, deviled eggs, jelly doughnuts and more. * 30 days money back and 1 year replacement warranty. 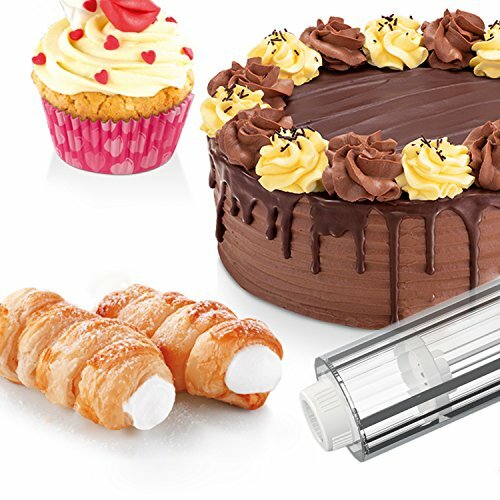 Purchase artale Cake Dessert Decorator with Decorating Tools – 8 pieces Piping Nozzles Coupler & Piping Icing Tips at Discounted Prices ✓ FREE DELIVERY possible on eligible purchases. 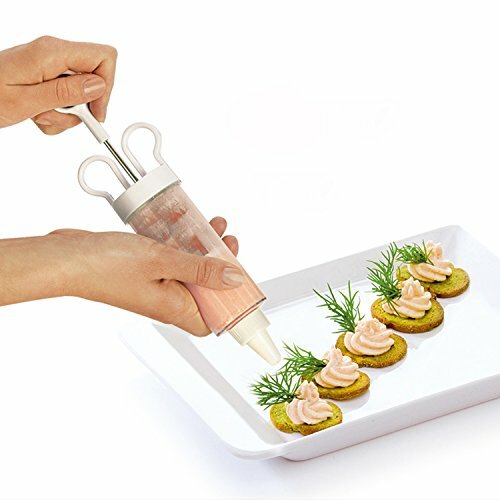 Good Quality: The artale cake decorating dessert cream decorator Gun/kit is made of food grade PP material and ABS , which is environmental-friendly and nontoxic. 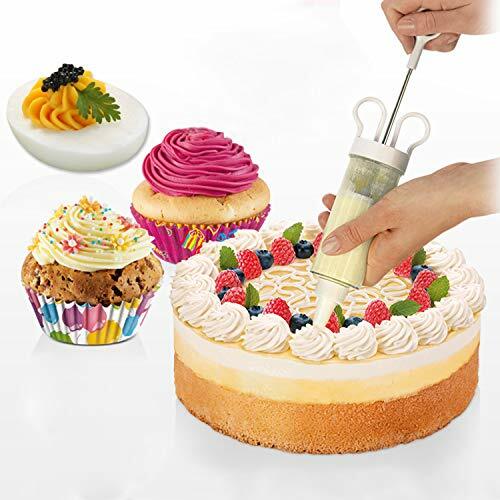 Ergonomic Design: Dessert decorator kit is easy and comfortable to grip with the right or left hand.And you could make various beautiful decorations for the cake. 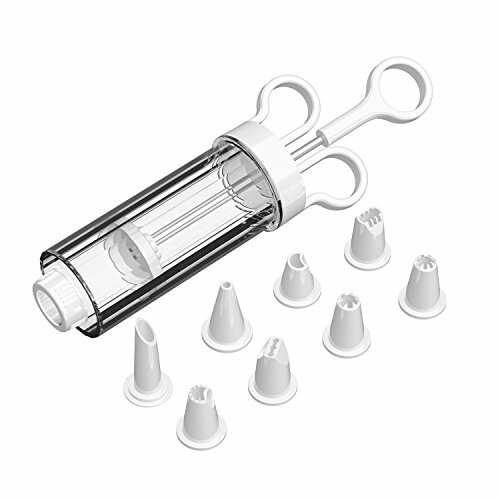 Easy to clean: Cake decorating syringe is built smooth plastic housing for easy cleaning. 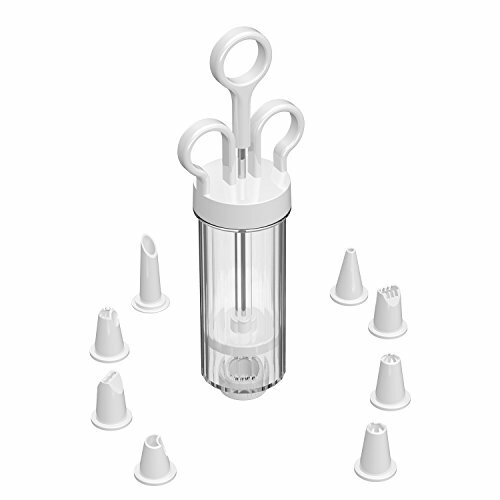 High Capacity: Holds approximately 1-1/4 cups of icing or filling,includes 8 decorating tips. What's You Get: artale cake decorating plunger Kit. 45-day money back guarantee and 1 year warranty. If you do not satisfy with our products, welcome contact our 24/7 online customer services for return or refund.